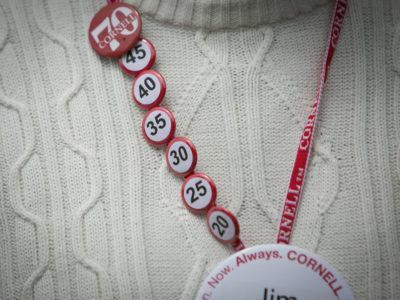 Cornell appreciates and recognizes its volunteers for their invaluable contributions. Introduced in 2012, the CAA Cup is a recognition that honors alumni groups and leaders for specific programs created in the name of Cornell. The recipient is determined by volunteer alumni leaders who attend the Cornell Alumni Leadership Conference (CALC) in January. 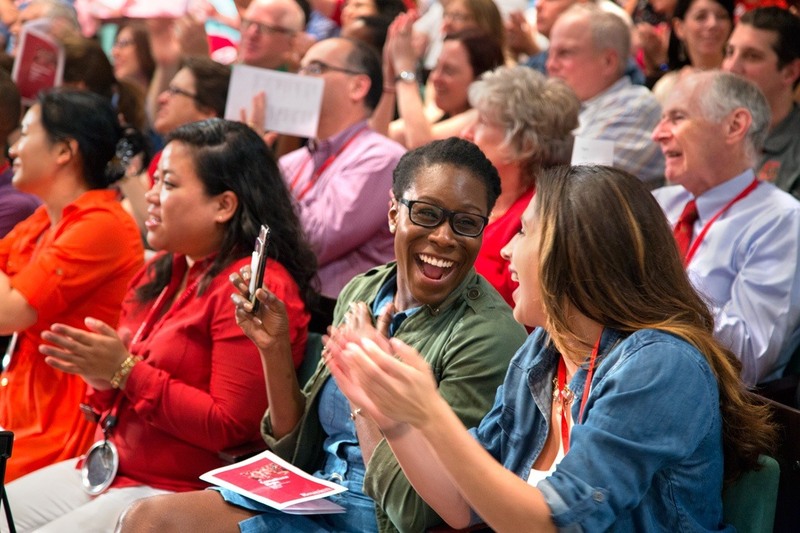 Cornell is proud to have 11,000+ enthusiastic CAAAN alumni volunteers around the world. The CAAAN Recognition Program honors a committee member of the year and a committee chair of the year. With the CALS Outstanding Alumni Awards, the College of Agriculture and Life Sciences and the CALS Alumni Association honor alumni who have achieved recognized success in their businesses, professions, or other avocational endeavors; have been actively involved in, worked for, and demonstrated leadership on behalf of the college and Cornell University; and have made significant contributions to the betterment of society through humanitarian and charitable endeavors. The Carlos R. Quintanilla Distinguished Latino Alumni Award recognizes alumni for exceptional achievements and significant contributions to their professions, community, and society as a whole; for their demonstrated commitment to the Samuel Curtis Johnson Graduate School of Management; and for promoting the advancement of Latinos in the business world. The Daniel Elmer Salmon Award for Distinguished Alumni Service honors Cornell College of Veterinary Medicine DVM graduates who have distinguished themselves in service to the profession, their communities or to the college. 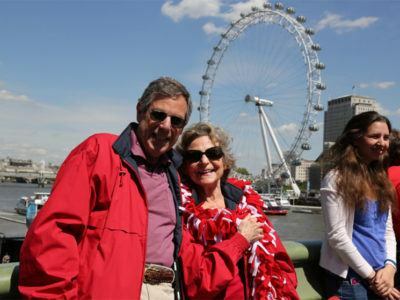 The Frank H. T. Rhodes Exemplary Alumni Service Award honors alumni who have given long-term volunteer service to Cornell throughout the broad spectrum of Cornell’s alumni organizations. Up to six alumni receive this prestigious award each year. The Helen Bull Vandervort Alumni Achievement Award has been presented annually since 1983 to alumni of the College of Human Ecology who have demonstrated those qualities exemplified by the late Helen Bull Vandervort ‘26. The Henry P. Renard '54, MBA '55 Regional Club of the Year Award recognizes regional club leaders and members for the innovation, creativity, and diversity of their programs, the total number of events hosted, and the percent of local alumni who attend. 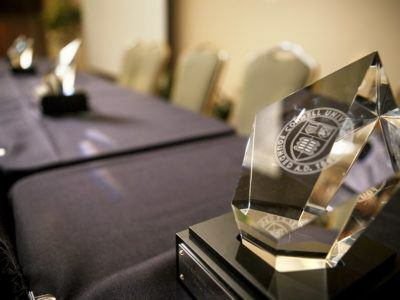 Presented annually since 1999, the Recent Alumni Achievement Award seeks to recognize alumni who graduated within the past fifteen years who have demonstrated excellence and personal commitment to professional, community, College or University activities. TheJerome Alpern Award was established in 1997 and named in honor of Jerome Alpern '49, whose contributions of outstanding service and support to the ILR School, its students, and its alumni, combined with his professional accomplishments outside the field of industrial and labor relations, embody the essence and spirit of the Alpern Award. The Groat Alumni Award was established in 1971 in honor of Judge Groat's vision and in tribute to his professional accomplishments, which culminated in appointment as justice of the New York State Supreme Court, Eleventh Judicial District. The Samuel Curtis Johnson Graduate School of Management's highest honor, the L. Joseph Thomas Leadership Award recognizes alumni for their exceptional demonstration of vision and leadership, sound business sense, and commitment to community. The Robert J. Swieringa Young Alumni Service Award recognizes alumni for their exemplary commitment to the Samuel Curtis Johnson Graduate School of Management and its alumni, and continued engagement with Johnson as a volunteer leader in many engagement activities. The Samuel C. Johnson Distinguished Service Award is a lifetime achievement award that recognizes extraordinary alumni for their sustained and exemplary commitment to Johnson and its alumni. Established in 2014, the Sloan Alumni Achievement Award award seeks to recognize a Sloan alumnae/alumnus who through their endeavors in healthcare administration demonstrate the relevance and significance of the education they received in the Sloan Program at Cornell University. 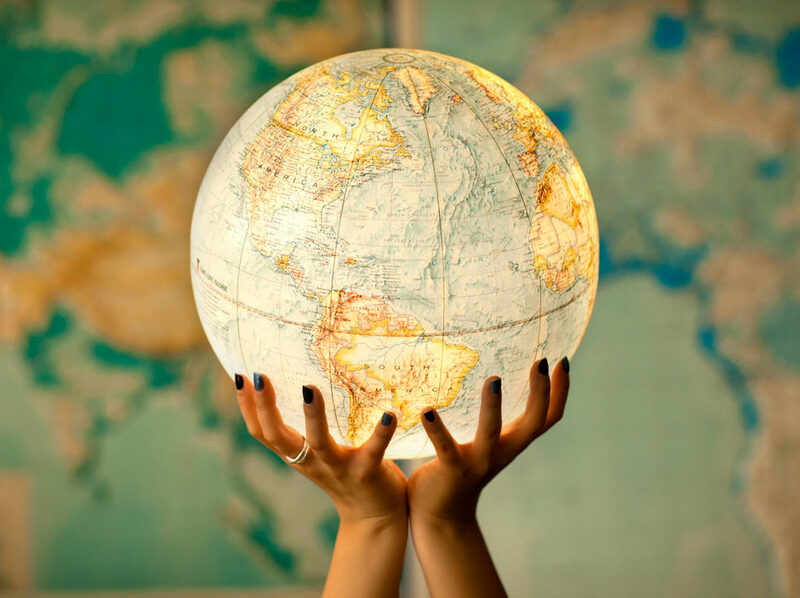 As leaders they have branched out in many directions to use their knowledge and skills to change the world. The Wilbur Parker Distinguished Alumni Award recognizes African American alumni who demonstrate outstanding professional achievement and commitment to their community, and who embody the Samuel Curtis Johnson Graduate School of Management's shared values of mutual respect, collaboration, integrity and trust, pride and accountability, professionalism, and investment in self. The William “Bill” Vanneman ’31 Outstanding Class Leader Award recognizes class officers who have provided long-term exemplary service to the university and to their classes. The award is named in honor of Bill Vanneman ’31, who served his class tirelessly for over 70 years. Explore new ideas and experiences with Cornell throughout your lifetime—online, on campus, or around the world. Join us for travel adventures at exciting destinations around the world. Or return to the classroom for a day, virtually or in person. You can even earn a new degree!